Register before 05 Apr 2019 for only RM4,200 per person. Register before 05 Jul 2019 for only RM4,200 per person. 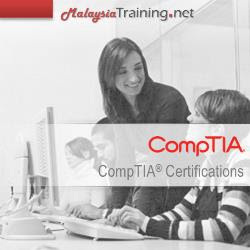 In this 4-day CompTIA® A+ Certification training, participants will acquire the necessary skills and knowledge to install, upgrade, repair, configure, troubleshoot, optimize, and perform preventative maintenance of basic personal computer hardware and operating systems.